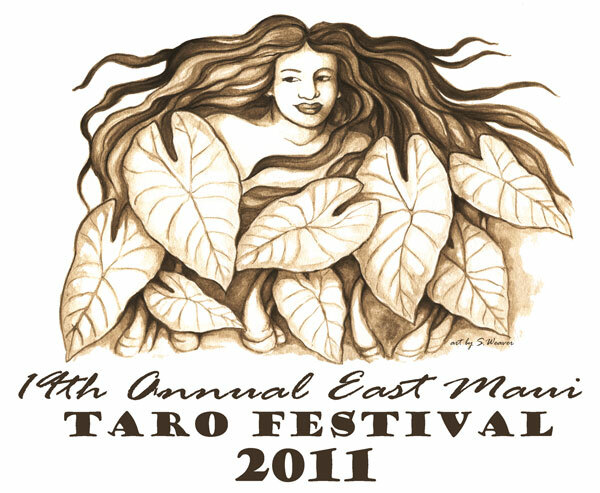 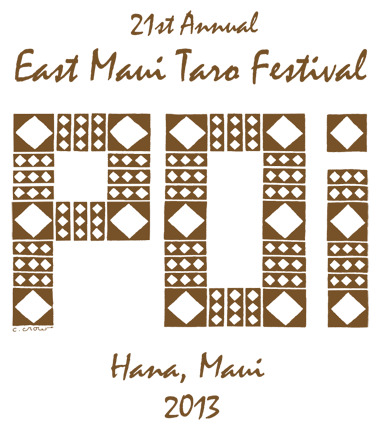 This year's Taro Festival design is by Sophie Adams. 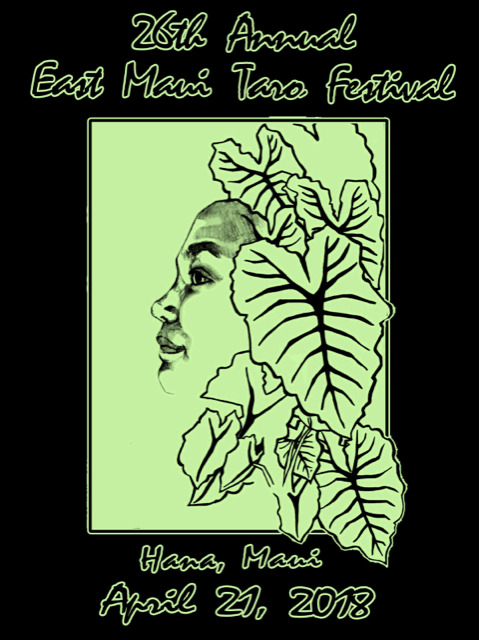 Sophie is originally from Christchurch, New Zealand and is currently living in Wellington where she attends Massey University, studying towards a Bachelor of Design, majoring in Visual Communication Design. 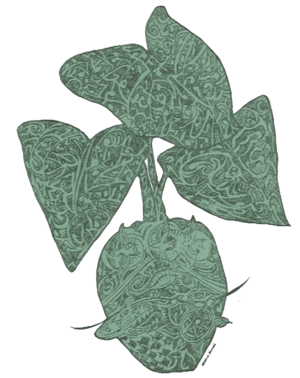 Aside from her university projects, Sophie enjoys creating various illustrations and designs, which she shares on her Instagram, @drawn_by_sophie. 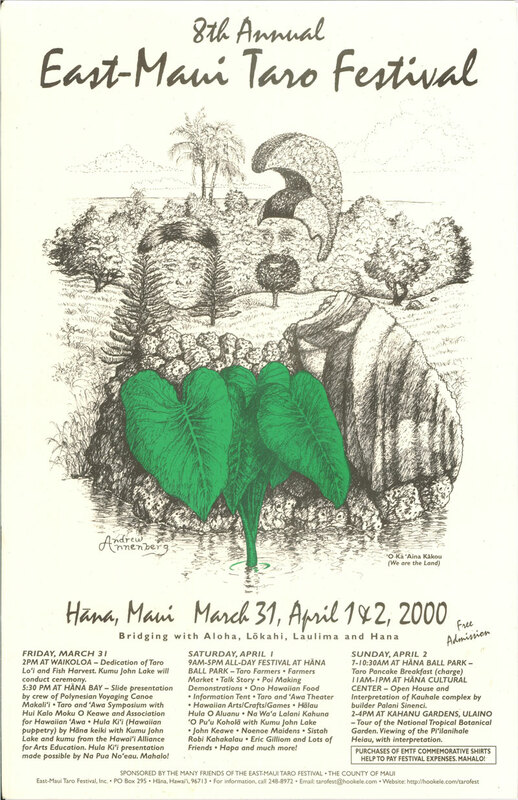 I have used the taro roots to outline a simplified birds-eye map of Maui Island to signify the deep rooting of the taro in Hawaii's history and ancestry. 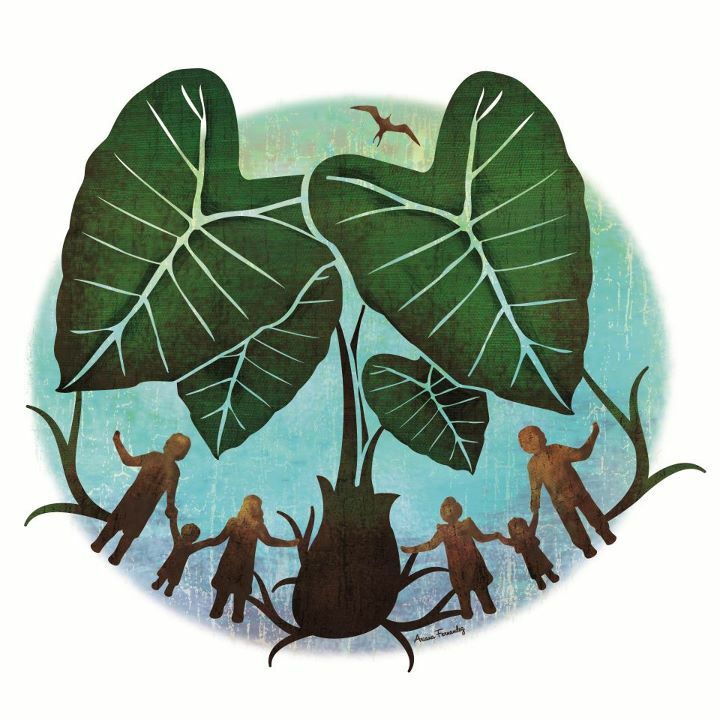 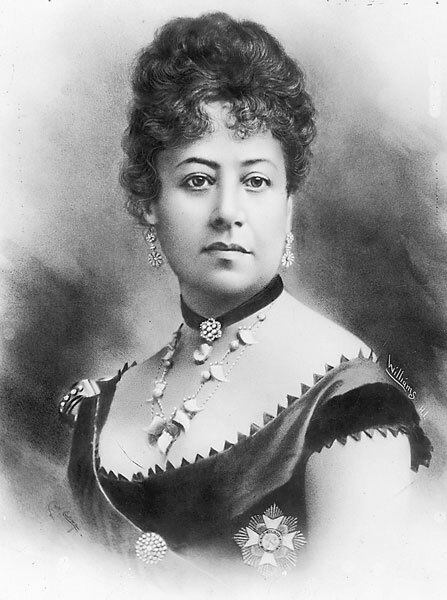 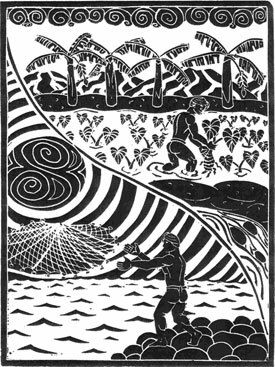 As legend has it Hawaiians descended from taro, and to allude to the fact that the first taro grew out of the ground where Haloa, [son of Wakea (sky father) and his daughter Ho‘okuokalani] was buried after he was stillborn. 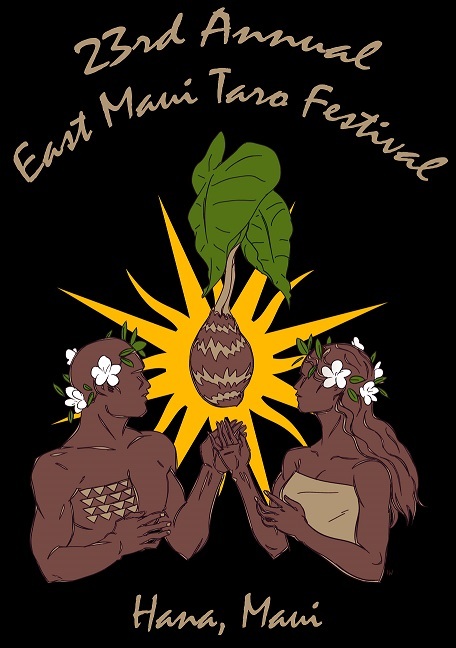 It also symbolizes family and connected-ness, to highlight how the festival is a way that taro brings the people of Maui together today. 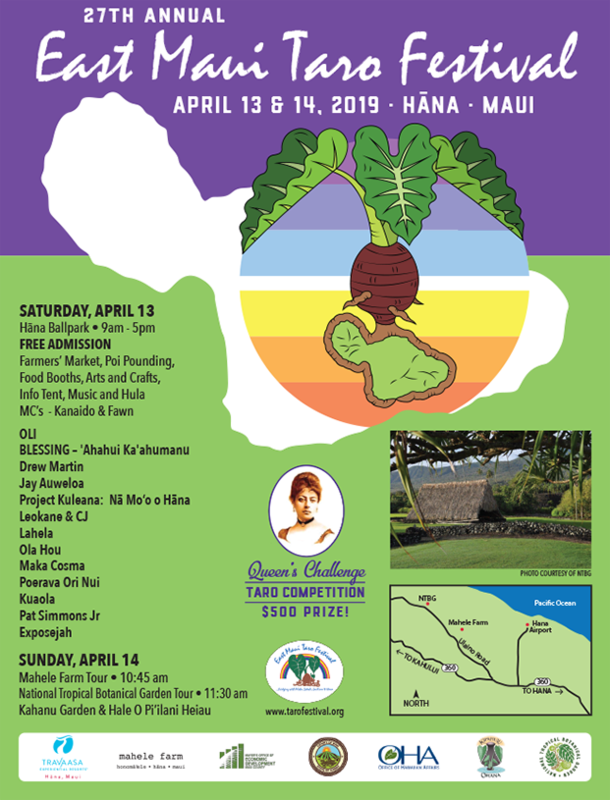 This design also makes it look as if the huge taro is growing up out of the island, emphasizing the taro’s importance and significance in Hawaiian culture. 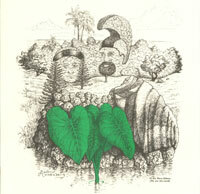 The large taro leaves at the top curve to create a border to the circular background. 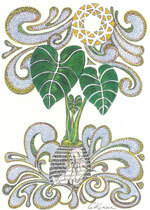 The colors I have used in the background symbolize the earth and sky. 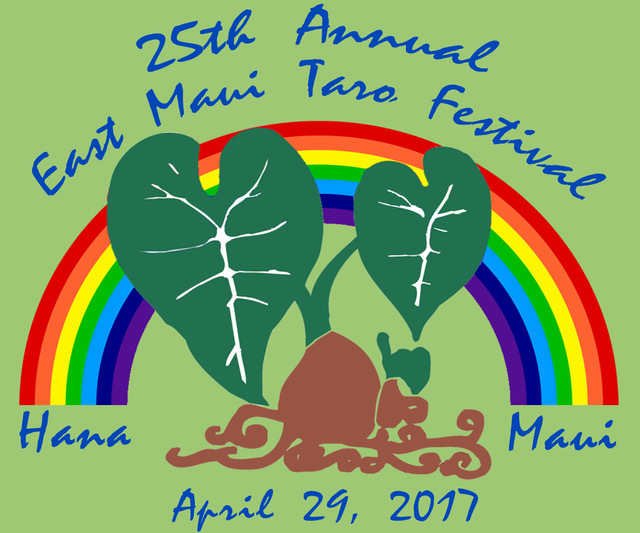 I have used various striped shades to draw from the rainbow motif that has been used in past designs, in a less literal way, so that the varied colors highlight diversity, peace and happiness. 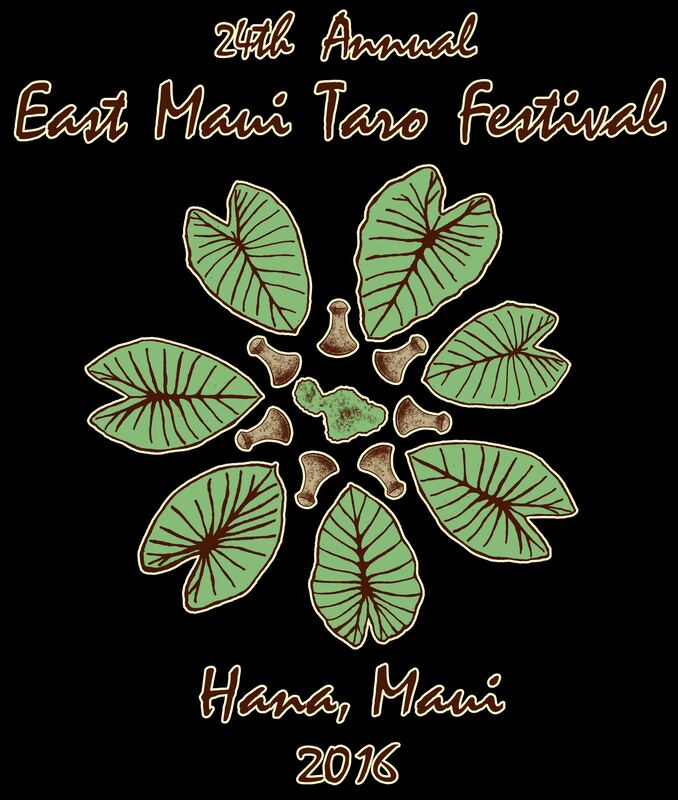 The overall circular shape of the design with the bulbous root of the taro in the middle creates a feeling of unity and family while drawing attention to the importance of the taro, to signify everything that the festival stands for. 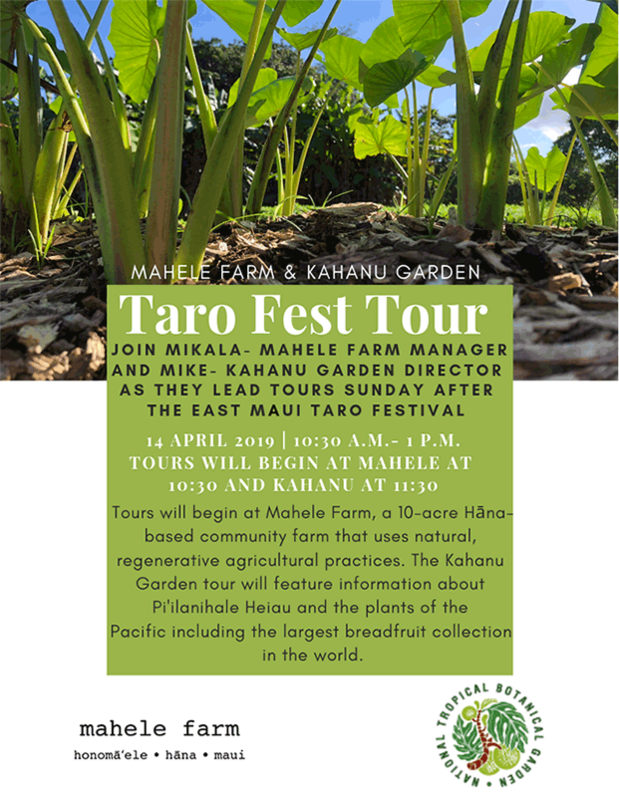 Prize: $500 for a kalo grown in lo'i; $500 for a kalo grown dryland. 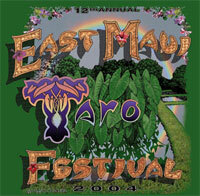 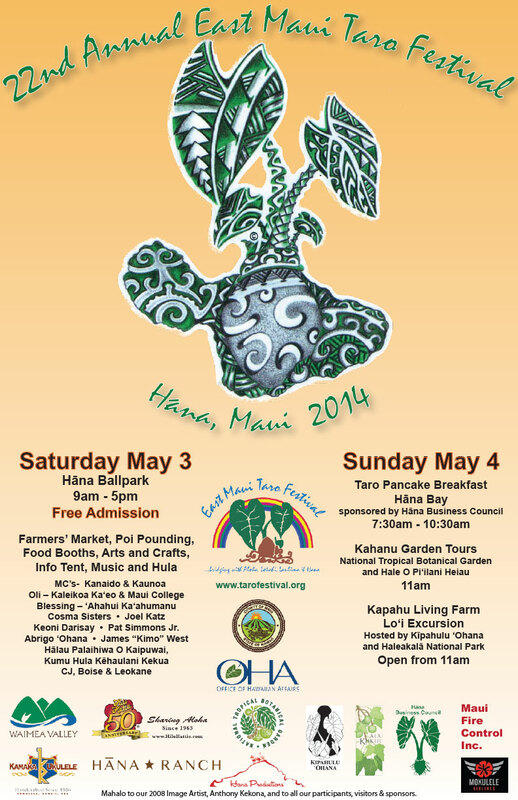 from "Canoe Plants of Ancient Hawai`i"
East Maui Taro Festival, Inc.
For scheduling and information call 808-264-1553.